“When you’re talking about recovery from Katrina, one of the things that made it possible for people to return and feel comfortable is the music and the culture,” said photographer L.J. Goldstein, one of the artists displaying his wares at this year’s new Art @ the Expo. For $20, you can pick up a poster of one of Goldstein’s most popular photos, and a third of the proceeds will benefit the Young Traditional Brass Band Program. Art @ the Expo is tucked into the 500 aisle of the Public Health Expo and features local artists whose crafts have a science- or health-related theme. Marek and Shelagh Dloughy’s DCZ Designs offers nature-based jewelry. Amber Luning is a medical illustrator whose biomedical artwork really will blow your mind. One of her pieces shows the nerves of the hand and was made from a combination of pencil drawing and Adobe Photoshop color. It’s indescribable. Go see for yourself. Photographer Andy Levin’s New Orleans photos are a delight. 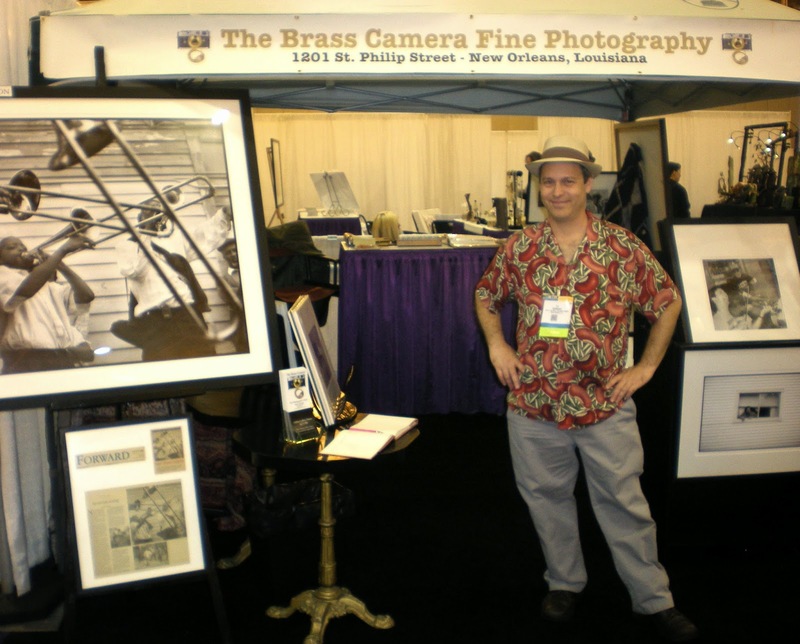 His booth spotlights work he’s done over the past 30 years, the most recent 10 in New Orleans. He has everything from heartbreaking post-Katrina shots of flooded neighborhoods to the joy of children turning cartwheels at the water’s edge. And everyone really shouldn’t go home without a T-shirt from Contagion Clues Creations. A former public health department director, Deb Scholten, designed the shirts emblazoned with the motto “Public Health: Protecting America from Tiny Terrorists.” Those tiny terrorists include Ebola, TB, pandemic influenza and the duo called Sam ‘n Ella (salmonella, get it?). The booth also has aprons for sale that give the safe cooking temperatures for a variety of foods and have a thermometer tucked into a top front pocket. The Public Health Expo is open today and tomorrow from 9 a.m.-5 p.m. and Wednesday from 8:30 a.m. until 12:30 p.m.